Well Dad and I hit a little creek today for the Baptist Church monthly competition. And despite a slow start, we finished with a very nice bag of fish. 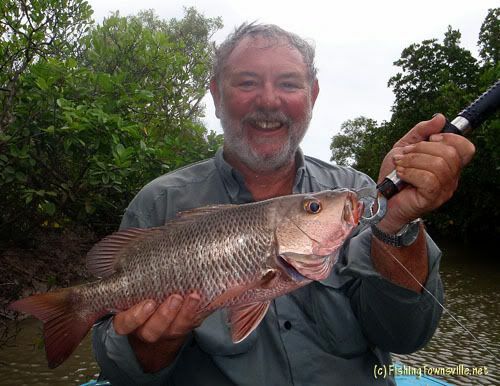 We started early and initially looked for live bait to fish for Barramundi. But the bait was dam hard to find. After an hour or so we had a couple of Mullet to get started with. We anchored to a snag and put out the live baits. When then put a half pillie of the second rod to keep us entertained. After an hour or so we both managed to get our Mullet 'scaled' but didn't even feel the weight of a fish. 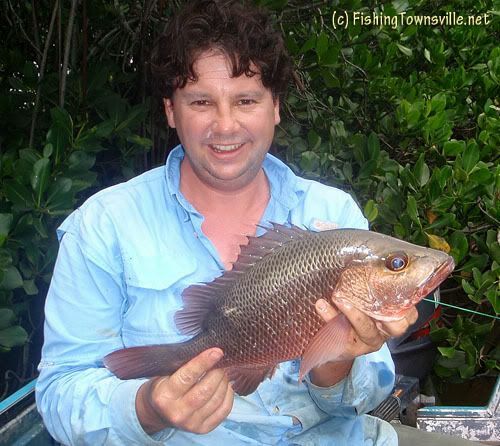 But the half pillies were working and I had a nice Mangrove Jack in the eski and some 28ish cm Bream. But all in all it was pretty quiet. So an change of location was in order. 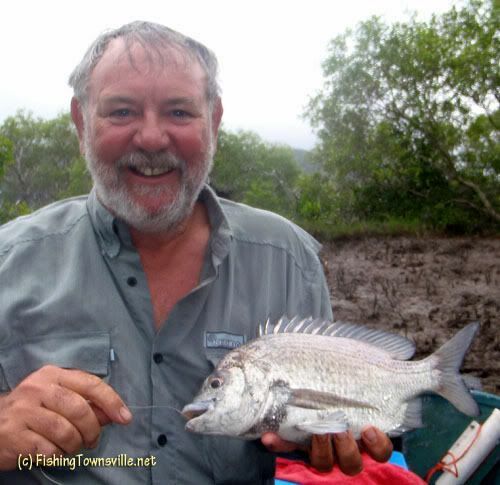 I was next with a lovely Bream of better than 30cm. Then the Jacks started. 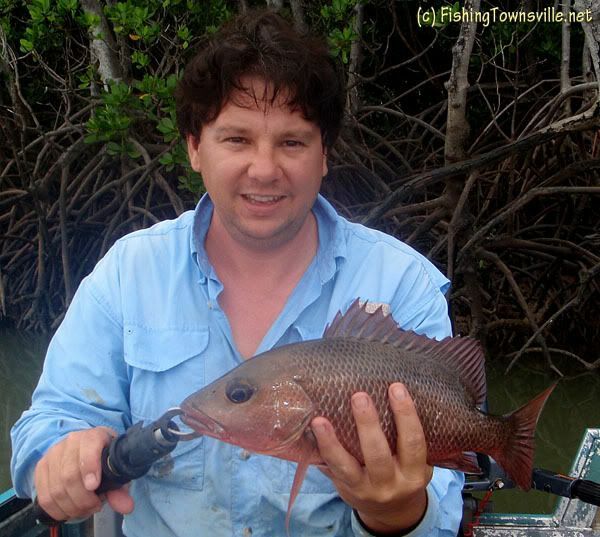 And over next hour or so we boated a total of 7 decent Mangrove Jack. Size was from about 38cm to 43cm. 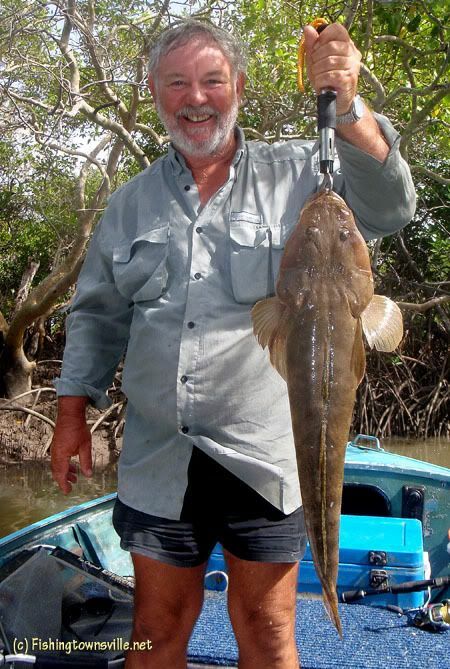 Beautiful fish on light gear in tight country. 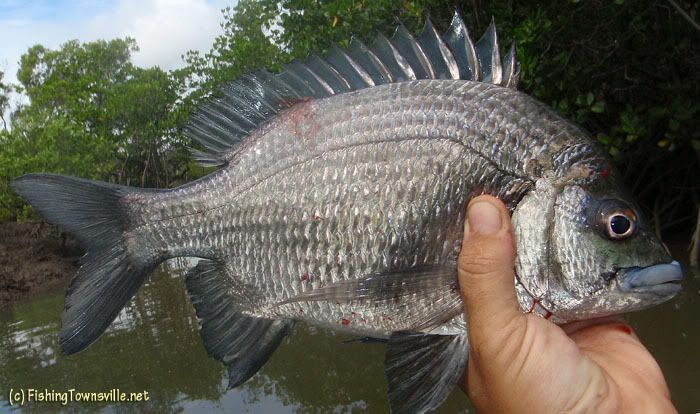 We also managed a couple more thumping bream. All fish fell to the good old lightly weighted half pillie!